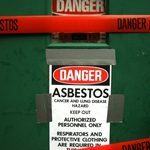 A company appeared in Perth Magistrates Court where they received fines for importing asbestos into Australia. The global engineering company Clyde Bergemann Senior Thermal was found to be accountable for a $64,000 fine for penalties and costs of importing the deadly substance in machinery parts. 3 years ago, CBST imported over 60 machinery parts from China which was allegedly supposed to be used in the development of a power plant. Customs and Border protection discovered that the machinery contained chrysotile asbestos, also known as white asbestos. It is currently banned for importation under the customs regulations since it can cause serious health defects such as lung cancer. A year later, the company imported an additional 60 parts with asbestos in it. CBST was subsequently found guilty of two counts of importing prohibited substances.